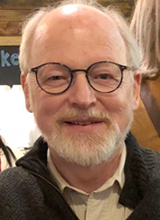 John W. Creswell, Ph.D., is a professor of family medicine and co-director of the Michigan Mixed Methods Program at the University of Michigan. He has authored numerous articles and 28 books on mixed methods research, qualitative research, and research design. While at the University of Nebraska-Lincoln, he held the Clifton Endowed Professor Chair, served as Director of the Mixed Methods Research Office, founded SAGE’s Journal of Mixed Methods Research (JMMR), and was an adjunct professor of family medicine at the University of Michigan and a consultant to the Veterans Administration health services research center in Ann Arbor, Michigan. He was a Senior Fulbright Scholar to South Africa in 2008 and to Thailand in 2012. In 2011, he co-led a National Institute of Health working group on the “best practices of mixed methods research in the health sciences,” served as a visiting professor at Harvard’s School of Public Health, and received an honorary doctorate from the University of Pretoria, South Africa. In 2014, he was the President of the Mixed Methods International Research Association (MMIRA). In 2015, he joined the staff of Family Medicine at the University of Michigan. In 2017, he co-authored the American Psychological Association (APA) “standards” on qualitative and mixed methods research.